Wait! Don’t go “outside the box” yet! Some boxes are worth building and staying in! Especially the ones that contain a well thought out plan, along with a ruthless commitment to achieve it. 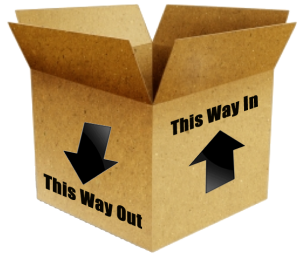 We all love the notion of “thinking outside the box.” But not if the box you’re in shelters you from mediocrity, encourages you to attempt something extraordinary, and emboldens you to take premeditated risks. Wait! I think that’s what “thinking outside the box” really means in the first place!